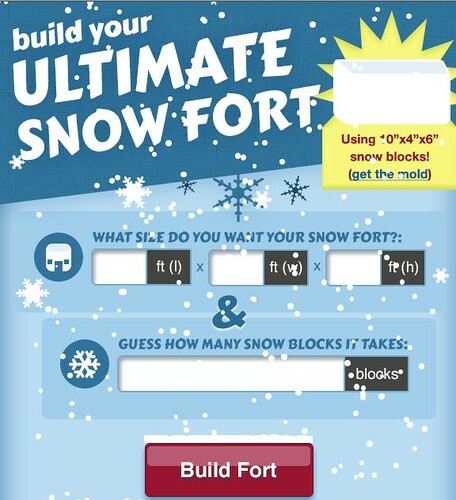 Thanks to Nick for sending this link to the snowfort planner! It may be too late to buy the $7 snow brick mold on Amazon, but the tool could still help you get your Nemo-supplied fun-pack into something pretty cool with a little planning and teamwork.. I bet your neighbors would get into the act if they figure out where put the stuff from shoveling out their cars, etc. Or you could go play in the snow behind the Davis Square Theater.